Sue has held several positions in the Division of Student Affairs since coming to UMBC in 2001. 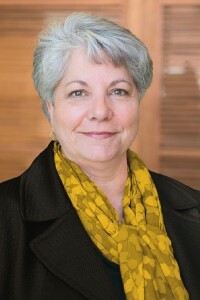 The primary duties in her current position include management of the Career Center’s employer partnership program, establishing new and maintaining current relationships with organizations interested in hiring UMBC students and alumni and organizing the many career related events offered each year by the Career Center. Sue currently serves as vice-president of the Professional Staff Senate, executive board member of the Greater Catonsville Chamber of Commerce and as an active member of the Eastern Association of Colleges and Employers as well as the Maryland Career Consortium.